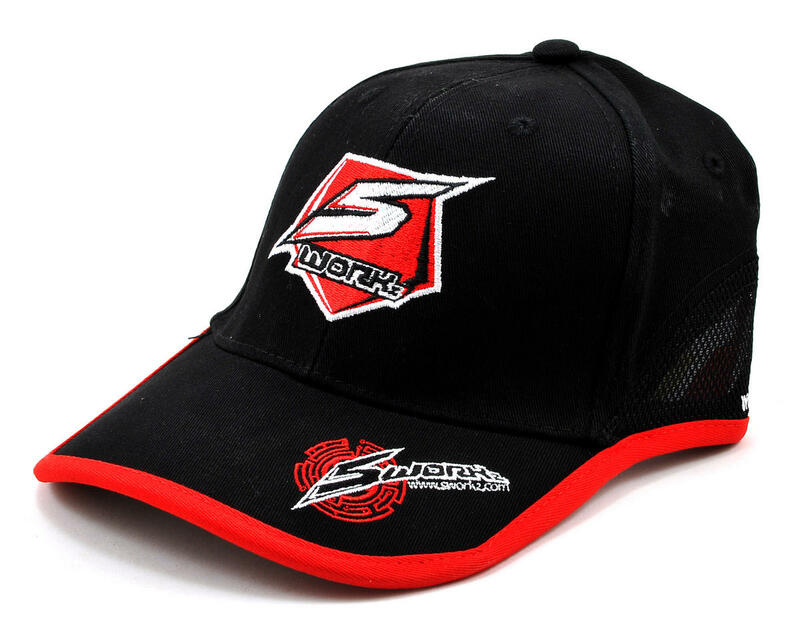 This is a SWorkz Race Cap. 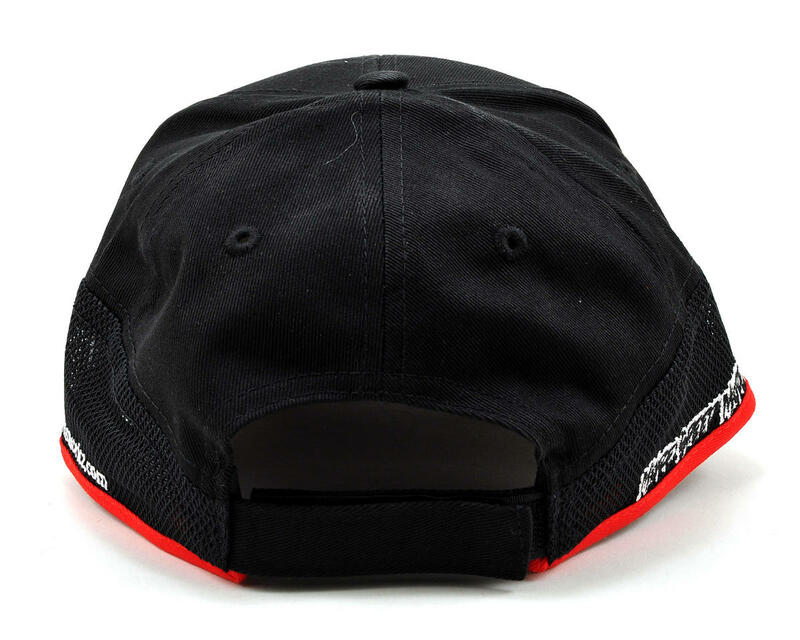 This cap features a red, black and white embroidered SWorkz logo on the front of the cap, with the SWorkz URL embroidered down the left side and the "More Speed More Fun" slogan down the right side, both over a vented mesh material that will help to keep your head cool when the racing gets hot. The bill has an additional SWorkz logo embroidered on the left side, with red piping along the front that carries along both sides, back to the adjustment strap. Additionally, the cap has an adjustable velcro strap that will allow it to fit a variety of head sizes.